← Help JSL Feed-a-Family this holiday season through our Donation Matching! A little rain won’t stop Saturday’s Scaring! 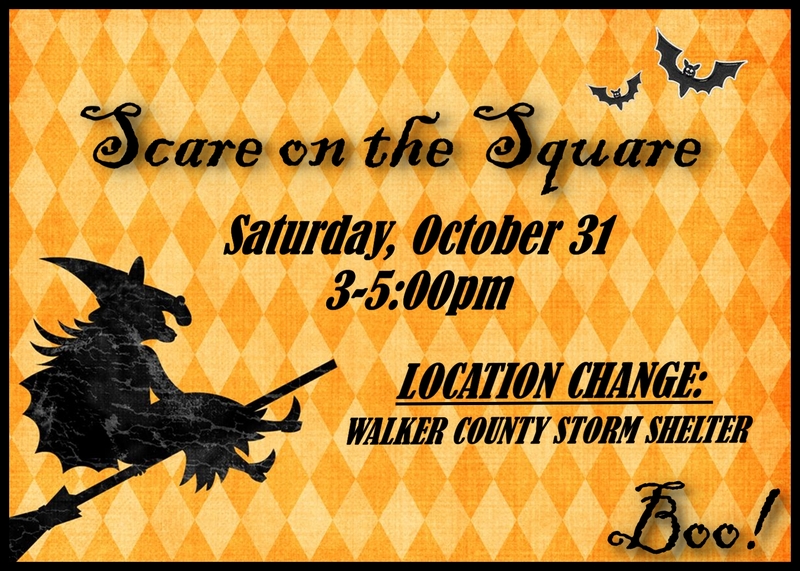 Due to the weather forecast, this Saturday’s Scare on the Square has been moved to the Walker County Storm Shelter at 455 State Highway 75 N Huntsville, TX 77320. The fun will begin at 3:00 come rain or shine! Be sure to stop by and visit with the ladies of the Huntsville Junior Service League!